Patrick Crehan's series start - topic Food and Agriculture. Watch the new edition of The Future Now Show with Chris Dancy, the Most Connected Human on Earth and Katie Aquino about Mindful Cyborg! 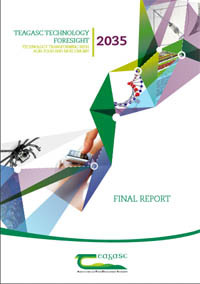 Teagasc (pronounced CHA GOSK), the agency that provides research, training and advisory services to the agri-food industry in Ireland, has recently completed a technology foresight exercise entitled Teagasc Technology Foresight 2035. The final report addresses one of the most significant challenges that the sector will face in the coming years. Namely how to achieve the high levels of growth needed to ensure security of food and nutrition, while reducing the impact of the sector on the environment and climate change. Ultimately the ability of the sector to grow over the coming decades, providing high quality jobs and prosperity to those it employs, is increasingly constrained by its ability to reduce waste, green-house gas emissions and more generally its impact on climate and the environment. New technologies are needed that will enable the sector to grow while respecting the environment and help it meet its obligations in terms of climate change. The report identifies new areas for future research that can help the sector achieve these goals. It outlines the immediate steps that Teagasc will take to establish the new activities needed to make it all happen. In terms of technology, the report emphasises the role that a number of imminent technology revolutions could play, as enablers of new systems for the management of production and processing, distribution, retail and consumption. In the case of consumption this means new value added personalised product and service concepts responding to consumer needs in terms of convenience, lifestyle, health and nutrition. These technology revolutions are going on in at least three areas, the first being in genetics and molecular biology. A genetic revolution is being driven in part by advances in obtaining detailed genetic at high-speed and low-cost, along with the phenotypic data needed to understand how genetics in combination with a range of other factors such as environment and nutrition, determine the performance of production systems, their susceptibility to disease and their response to stress. This new and more profound understanding of biological systems at the molecular level genetics is accompanied rapid progress in a large number of new techniques for enhancing the performance of commercially important plants and animals to create new breeds and varieties or to improve the function of existing breeds and varieties in terms of health, production and impact on the environment. The second area of ongoing revolution is in our ability to understand and manage important micro-biota. This refers to the many complex communities of micro-organisms that inhabit human skin, teeth and digestive systems, the rumens of cows, the bacteria, fungi and microscopic worms that inhabit our soils, and the many microscopic organisms that inhabit the spaces in which we live and work. These are too complex and varied to study at the level of individual organisms, but they can now be studied collectively using techniques such as whole biome sequencing. As a result we are beginning to see the essential role they play in general physical and mental health, in the occurrence of allergies and food intolerances, their importance for digestion, their role in food conversion efficiency and green-house gas emissions of farm animals, their role in the nitrogen cycle of soils and in plant nutrition plants. We have only started to understand the importance of these and the essential role they play in healthy biological systems. Over the next 10 to 20 years we expect our understanding to grow to the point where we can really use this knowledge to move agricultural production as well as plant, animal and human nutrition onto a whole new level of performance. The third main area that is ripe for revolution is in the application of information and communication technology in farming, food production, distribution retail and consumption. Key concepts include big-data, data analytics and automation, applied to the daily routine of farm-work an agricultural production, to decision making concerning key tasks such as breeding, nutrition, animal and plant health, the management of farm enterprises and the production of environmental goods and services. All of this is being enabled by the ease of deployment of systems using networks of robust low-energy or even no-energy, low-cost sensors based on nano-technologies, connected to data bases and decision-support systems connected to each other and to farm via the "Internet of Farm Things" or even the "Internet of Living Things". The IoLT refers to a system that connects not only man-made machines and devices but animals and nature itself through sensors that continuously and cheaply monitor the health status of animals and their behaviour in terms of consumption, production and readiness for breeding, the health status of plants their yield, nutritional needs and response to stress, as well as the health of the environment and its auditable output in terms of ecological and environmental goods and services. In addition to these three areas of applied technology, the report also describes new and interesting developments in the area of food processing, as well as new systems and services that will steadily integrate the agri-food sector into the circular bio-economy. Altogether the report identifies 5 major areas for technology driven transformation of the sector. We will have a look at each of these in turn in future extensions of this article on the results of Teagasc Technology Foresight 2035. Disclaimer: The author was employed by Teagasc to assist in the development of the Teagasc Technology Foresight 2035 initiative. Nevertheless the views expressed in this article remain those of the author and do not necessarily reflect those of the client. 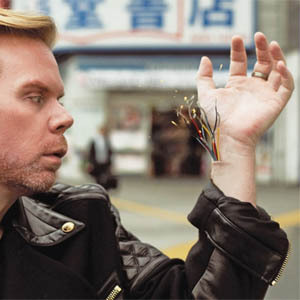 Youve heard of the internet of things, an omnipresent network of chattering devices sharing data, but how often have you heard that you might be integrated into it, not just tapping into it but constantly sharing with it untold amounts of data about your physical and mental state, what you are doing, who you are interacting with? The worlds most connected man here introduces us to the concept of Existence as a Platform, how we might all become vastly more connected with our devices and with other people, and asks us to ponder the impact of this on things such as safety, privacy and even new forms of consciousness. 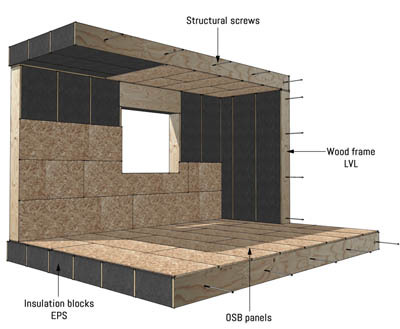 Build an entire building (floor, walls, ceiling) by assembling insulation blocks separated by wooden boards. PopUp House is not a homebuilder. We sell our building system comprising assembly instructions and structure materials to the professional who will build your PopUp House. The supply of the materials constituting the structure (EPS, wood, screws) costs between 250€ and 300€ per square meter of floor area (price before tax). We also provide a detailed study of your project to validate its structure. It is charged 1500€. A PopUp House building is assembled with screws. Wood framing and insulation blocks are assembled with long wood screws made to measure. The blocks are sandwiched between the boards and tightened by means of through screws. It does not soil the polystyrene and thus allows the building to be completely disassembled and recycled. Every day we interact with products that were built by robots and yet we never think about it. These robots impact our world even though they are hidden away in factories that we never see. We are entering a point in time when robots will become more visible and impact our lives more directly: in our stores, in our offices, and in our homes. And as robots improve and our acceptance of them grows, they will also enter the world of logistics. Interest in the field of robotics is clearly increasing. More funding is pouring into development than ever before from governments, large companies, and venture capitalists. 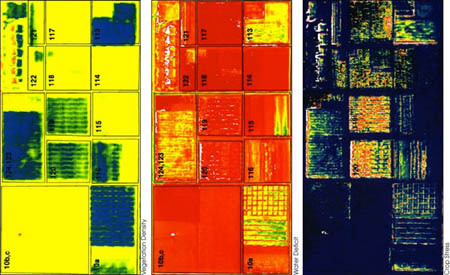 Low-cost sensors and faster computers have made previously impossible challenges more manageable. Engineering students now see true potential for advancement, and are being enticed into this field by exciting jobs in robotics. Studies show that there will be a labor shortage in many developed countries over the course of the next twenty years. 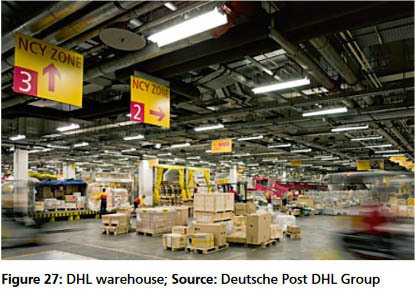 This is problematic for e-commerce, which increases the need for labor in warehouses and greatly adds to the number of parcels flowing to consumer homes. Finding enough labor for the logistics industry could become extremely difficult or even impossible. In answer to this, managers are learning the advantages of supplementing workers with collaborative robots, effectively allowing people to do more complex and rewarding tasks while at the same time improving overall productivity. Retailers like Amazon are leading the way, embracing robotics technology by making large investments. Equipment providers see this trend and are designing robots into their logistics systems as the cost of the technology drops and capabilities improve. With these advances, we are seeing first examples of self-contained mobile picking robots as well as robot forklifts entering distribution centers, and initial trials seem positive. There is still a long way to go before robotics technology is ready and major improvements are still required but many of the pieces are now in place to drive progress. Since 2007, The Hotel Yearbook has provided thousands of decision makers in the hotel industry with valuable opinions and insights on what may be in store in the year ahead. To celebrate the 10th anniversary of this forward-looking publication, The Hotel Yearbook 2036 breaks completely new ground, taking a giant leap 20 years into the future. Written from the viewpoint of the year 2036, the book presents dozens of 'eyewitness reports' from the future: interviews conducted with fictitious hotel industry executives, consultants, experts  and guests  who describe the world of 2036 from their own perspective, and in doing so, illuminate the dramatic changes that hotel companies will confront between 2016 and 2036. Thirty measures are presented in the report, Shaping the Future of Construction: A Breakthrough in Mindset and Technology as part of a construction industry transformation framework. The report describes and promotes the effort needed by all stakeholders for the industry to fully realize its potential for change. Its a city car that uses a third less energy in its lifetime than a typical city car, designed with the kind of attention to weight reduction and aerodynamics found in Formula One racing. This ultra-light prototypes low-cost, low-carbon construction demonstrates a way to help keep increasingly crowded cities moving, while minimising energy use and emissions. 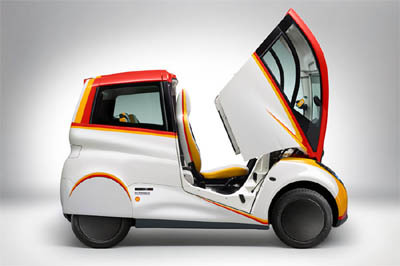 You could build this car and drive it for around 100,000 kilometres before consuming the same energy it takes to make a typical SUV, says engineer Bob Mainwaring, Shells Technology Manager for Innovation, who is leading the project. By the middle of this century three-quarters of the worlds population is expected to live in cities, while the number of cars on the road could double. Cars powered by electricity, low-carbon biofuels or even hydrogen could play a growing role in road transport of the future. But much more efficient combustion engines using petrol or diesel are needed to reduce carbon dioxide (CO2) emissions and air pollution in the shorter term. We wanted to see what kind of an impact we could have if we really pushed the boundaries of what combustion engine cars can do today, says Mainwaring. F1 designer Gordon Murray, engine experts Geo Technology and Shell scientists have worked closely together to co-engineer the cars body, engine and lubricant to minimise fuel use and CO2 emissions. The result is a concept car that uses significantly less energy from its manufacture to the end of its life. 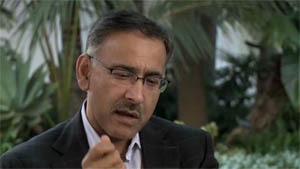 Dr. Khan, M.D., is PepsiCos Vice Chairman and Chief Scientific Officer of Global Research and Development. In its global portfolio of food and beverage brands, PepsiCo has 22 different brands that generate more than $1 billion each in estimated annual retail sales. With net revenues of over $63 billion, PepsiCos businesses make hundreds of enjoyable foods and beverages that are respected household names around the world. In his role, Dr. Khan oversees the PepsiCo global Performance with Purpose sustainability initiatives, designed to enhance environmental, human and talent sustainability for the company, and he leads PepsiCos research and development (R&D) efforts, creating breakthrough innovations in food, beverages and nutritionas well as delivery, packaging and production technologyto capture competitive advantage and drive PepsiCos businesses forward. With a strong emphasis on broadening the companys portfolio of offerings, Dr. Khan sets the priorities for innovation, discovery and development at PepsiCo. He consistently pushes the envelope by introducing new technologies and innovative solutions across the development and production processesand even the entire crops spectrum. As Chair of PepsiCos Sustainability Council, Dr. Khan oversees and guides PepsiCos sustainability initiatives that help: 1) protect and conserve global water supplies (and provide access to safe water); 2) innovate our packaging to minimize our impact on the environment; 3) eliminate solid waste to landfills from our production facilities; 4) reduce absolute greenhouse gas emissions across our global businesses; and 5) support sustainable agriculture by expanding best practices with our growers and suppliers. Under Dr. Khans stewardship, PepsiCos Food For Good (an enterprise within the company that utilizes PepsiCos delivery vehicles, warehouse facilities and management skills to make nutrition accessible for low-income families in the U.S.) is making a difference in the fight against hunger. Additionally, Dr. Khan strengthens PepsiCos global network, reputation and knowledge base by launching research projects with leading universities and technology companies, as well as by spearheading agricultural and nutrition science initiatives. With Dr. Khans leadership, the investments PepsiCo has made in R&D are helping drive the companys business priorities today and the sustainable growth opportunities of tomorrow. In 2013, PepsiCo had nine of the top 50 new food and beverage products across all measured U.S. retail channels. In the first nine months of 2014, PepsiCo was the #1 contributor to U.S. retail sales growth among the top 30 food and beverage manufacturers. By continuously aligning dynamic consumer tastes and category development opportunities through seamless, integrated research and innovation, the PepsiCo innovation pipeline is stronger than ever. Prior to joining PepsiCo, Dr. Khan was President, Takeda Global Research & Development Center, overseeing Takeda Pharmaceuticals Companys worldwide R&D efforts. Previously, Dr. Khan was as a faculty member at the Mayo Clinic and Mayo Medical School in Rochester, Minn., serving as Director of the Diabetes, Endocrine and Nutritional Trials Unit in the endocrinology division. He also spent nine years leading programs in diabetes, endocrinology, metabolism and nutrition for the Hennepin County Medical Center in Minneapolis.